I did not care for the first two "Hotel Transylvania" movies. Basically I felt that Adam Sandler's style of humor had run its course, and even doing something as unique as applying it to animated monster movies couldn't make it interesting again. Both films got a One and a Half Star rating out of me (the equivalent of a C- now that I use letter grades) and I remember seriously considering giving One Star to the second film. So "Hotel Transylvania 3: Summer Vacation" was one of the least-anticipated viewings on my summer watchlist. Maybe it was because I was in a good mood or because the movie did something right or the very fact that I came in with such low expectations, but I actually rather enjoyed this entry. The new film sees widower Dracula (Sandler) trying to reenter the dating scene. His daughter Mavis (Selena Gomez) mistakes his loneliness for a need for a vacation from his hotel-running duties, so she books him on a family cruise along with his father Vlad (Mel Brooks), son-in-law Johnny (Andy Samberg), and grandson Dennis (Asher Blinkoff). No need to worry about running the hotel during the break, because it seems like everyone they know is on the cruise too. There's Frankenstein (Kevin James) and his bride Eunice (Fran Drescher), Wayne and Wanda Werewolf (Steve Buscemi and Molly Shannon), Murray the Mummy (Keegan-Michael Key, trying for all the world to sound like original voice Cee-Lo Green), Griffin the Invisible Man (David Spade), the mute Blobby the Blob, and a host of other familiar faces. But there are also some new players in the game. Cruise director Ericka (Kathryn Hahn) immediately catches Dracula's eye with her beauty, charm, and similar life goal of providing hospitality to monsters. There's just one problem: she's the great-granddaughter of notorious monster-hunter Abraham Van Helsing (Jim Gaffigan) and she hates monsters every bit as much as he does. In fact, she's steering everyone toward Atlantis, where the plan is to kill them all by taking control of a Kraken (Joe Jonas). Also worth mentioning is that almost every servant on the ship is an upright fish (Chris Parnell). Somehow the visual of the fish talking out of a mouth that points straight up in the air is consistently funny throughout the film. Dracula tries wooing Ericka, but he's awkward at every turn, not that Ericka even notices his awkwardness since she's constantly trying to murder him. The two eventually bond in a booby-trapped shrine where he absorbs every deadly weapon the chamber has to offer (none of the weapons are a stake to the heart, so the blades and arrows are only minimally inconvenient). Ericka develops feelings for Drac, can she allow Van Helsing to wipe out monsterkind now that she loves one? What I can tell you is that the Dracula/Ericka relationship is cute, funny, and touching. Maybe I'm just a sucker for animated sequels where the single father finds love - after all, I liked the second "Despicable Me" a lot more than the first. I'm not saying that "Hotel Transylvania 3: Summer Vacation" completely turns the franchise around. Some of the gags are groaners, especially when Sandler breaks out his tired "baby talk" schtick. We also get the return of Tinkles, the unfunny dog from the painful short that played before "The Emoji Movie". That movie won the Razzie for Worst Picture and the short was still worse than the feature. But there's also a lot here that works, especially compared to the first two movies. The addition of Hahn and Gaffigan certainly helps, but really it seems like everyone is upping their game, with better jokes and visuals than ever before. 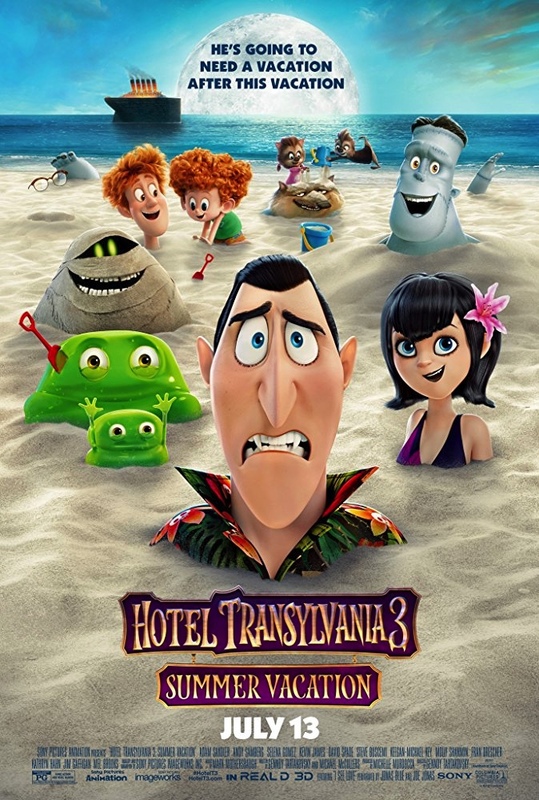 If there's a "Hotel Transylvania 4", I won't waste too much energy dreading it like I did with this, because there's surprisingly little here to dread. 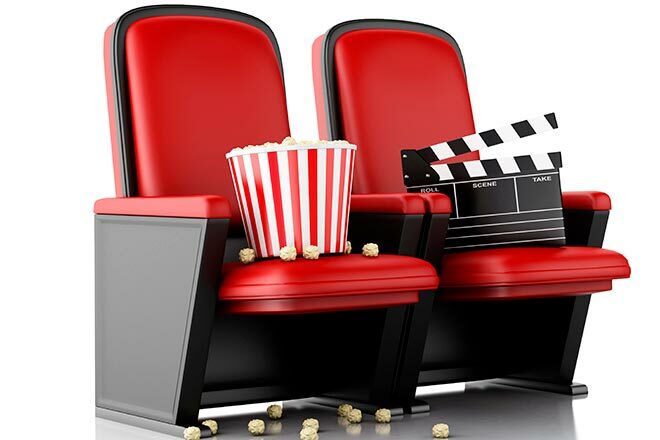 "Hotel Transylvania 3: Summer Vacation" is rated PG for some action and rude humor. Its running time is 97 minutes.